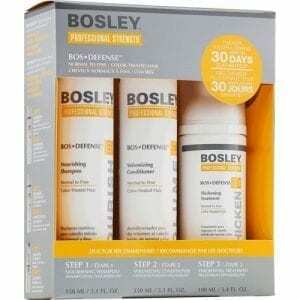 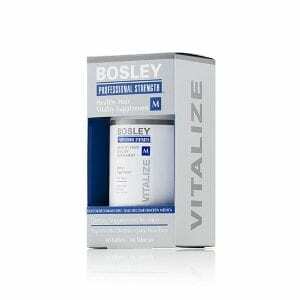 Support hair, skin and nails from the inside with Bosley Professionals Strength Men’s Healthy Hair Supplement. BosDefense Volumizing Conditioner for Color-Treated Hair is a weightless conditioner for the hair and scalp that helps extend the longevity of your color. 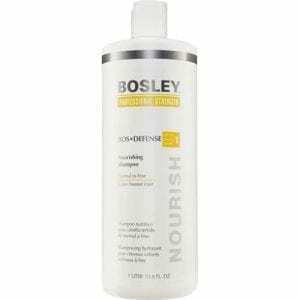 BosDefense Nourishing Shampoo for Color-Treated Hair is a gentle, sulfate free cleanser that removes toxins from the hair and scalp. 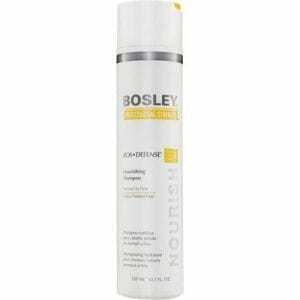 BosDefense Thickening Treatment for Color-Treated Hair is a leave in intensive treatment. 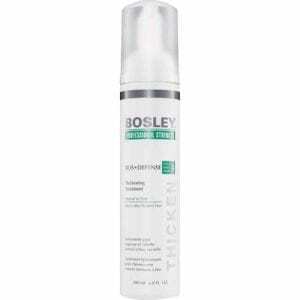 BosDefense Thickening Treatment for Non Color-Treated Hair is an intensive leave-in treatment. 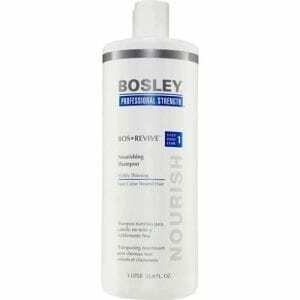 BosRevive Nourishing Shampoo for Color-Treated Hair is a gentle rejuvenating, sulfate free cleanser that removes toxins from the scalp of visibly thinning hair. 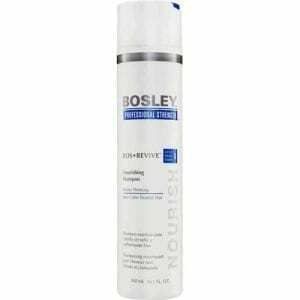 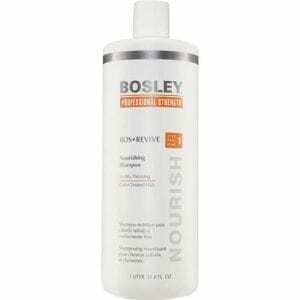 BosRevive Nourishing Shampoo for Non Color-Treated Hair reconditions the hair while rejuvenating the scalp. 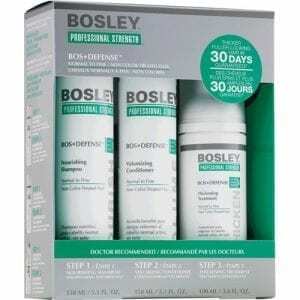 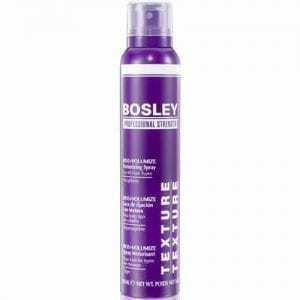 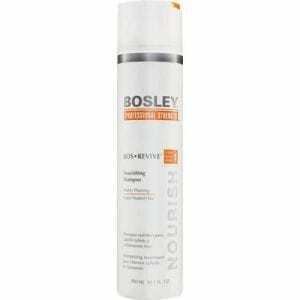 Remove toxins and add volume with the Bosley BosRevive Starter Pack for Non Color-Treated Hair. BosRevive Thickening Treatment for Color-Treated Hair is a leave-in intensive treatment that adds weightless volume. 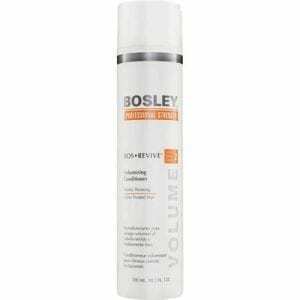 BosRevive Thickening Treatment for Non Color-Treated Hair is a leave-in intensive treatment with thickening technology that adds weightless volume. 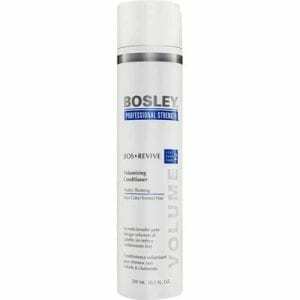 BosRevive Volumizing Conditioner for Color-Treated Hair is a paraben free volumizing conditioner that adds a thicker appearance to visibly thinning hair. 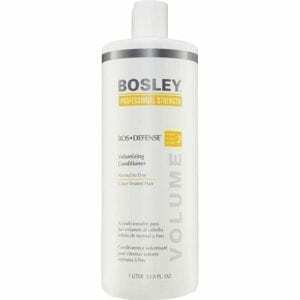 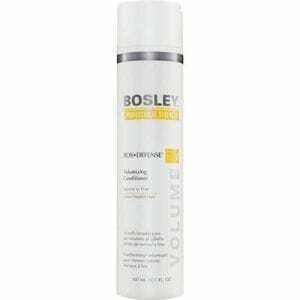 BosRevive Volumizing Conditioner for Non Color-Treated Hair is a paraben free conditioner that gives a thicker appearance to visibly thinning hair. BosVolume Texturizing Spray can create limitless textures and volume.